LA JOLLA, CA–All mammalian cells need a ready supply of calcium ions to execute functions as diverse as neurotransmission, muscle contraction, hormone release, or immune responses. So fundamental is this requirement that cells protect themselves from disaster by storing calcium in a network of intracellular cisterns called the endoplasmic reticulum, or ER. Then, as cells lose calcium as part of their daily routine, channels open in the cell's membrane allowing calcium influx from outside to re-fill the ER reserves and maintain calcium-driven cellular functions. 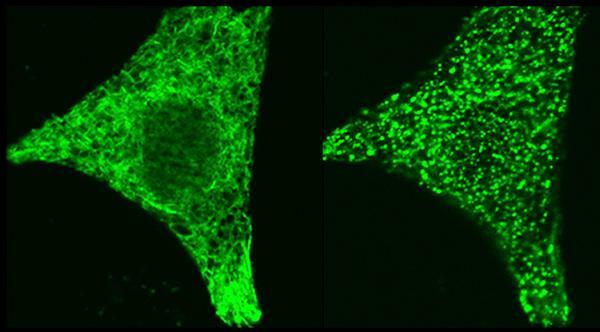 Two studies recently published by La Jolla Institute for Immunology (LJI) investigators Patrick Hogan, PhD, and Aparna Gudlur, PhD–one paper appearing early this year in Cell Reports and the other in the October 31, 2018, issue of Nature Communications–report how a calcium-sensing protein called STIM1 signals that it's time to initiate calcium retrieval and then relays that message to its partner, the calcium channel ORAI. This body of work lays the groundwork for novel ways to manipulate aberrant calcium signaling in the immune system, particularly in the context of autoimmune or inflammatory disease.